The National Union of Healthcare Workers (NUHW) will have a second chance at a representation election at Kaiser Permanente. And it’s because the National Labor Relations Board (NLRB) will be holding a revote of a 2010 representation election between NUHW and SEIU-UHW where the latter prevailed by violating the law and colluding with Kaiser to rig the vote. There is no nice way to say it. These are the facts. Despite Kaiser Permanente‘s repeated claims of “neutrality” in the upcoming election between the National Union of Healthcare Workers – California Nurses Association (NUHW-CNA) and the Service Employees International Union – United Healthcare Workers (SEIU-UHW) for 45,000 Kaiser workers in California, the National Labor Relations Board (NLRB) recently issued two complaints against the HMO for “interfering with, restraining, and coercing employees in the exercise of the rights” guaranteed workers under the law. At Kaiser San Francisco Medical Center, a Kaiser Human Resources Consultant named Anthony Wong is charged with illegally prohibiting off-duty workers from visiting the worksite to talk to their co-workers about supporting NUHW-CNA and with interrogating employees about their co-workers’ sympathies and preferences in the election. At Kaiser South San Francisco, another Kaiser H.R. Consultant, Alan Burnett, is likewise charged with violating employees’ rights to engage in union election activity in support of NUHW-CNA. At Kaiser South Bay Medical Center in Los Angeles County, three Kaiser managers, Susanne Corlett, Heidi Greene and Saro Tomasian, are charged with illegally restricting their employees’ rights to engage in union activity in support of NUHW-CNA and with having threatened discipline, including termination, for workers’ exercise of those rights. Kaiser’s misconduct has been pervasive throughout the state. Earlier this year at Kaiser Los Angeles Medical Center, the NLRB found management guilty of engaging in similar violations against NUHW-CNA supporters and forced administrators to promise to refrain from such illegal conduct in the future. Recently, workers at Kaiser Panorama City in Los Angeles have been sent home for wearing NUHW-CNA shirts and workers supporting NUHW-CNA at Kaiser Santa Clara, Kaiser Santa Rosa and Kaiser Vallejo have reported violations by managers of their rights to engage in protected activity. 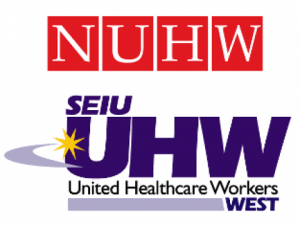 In 2010, the results of an earlier statewide election at Kaiser between NUHW-CNA and SEIU-UHW were thrown out by a federal judge due to cheating and collusion between Kaiser Permanente and SEIU-UHW. In that election, Kaiser illegally withheld raises and education benefits from NUHW-represented Kaiser employees in order to assist SEIU-UHW’s campaign. Kaiser management also engaged in precisely the kind of unlawful coercion and restriction of employees’ speech rights in 2010 that the NLRB has now found Kaiser to be engaging in in the current election. An NLRB hearing took place last month in Los Angeles regarding the complaint issued against the Kaiser South Bay managers; an NLRB hearing is scheduled for June 4 in San Francisco for the H.R. 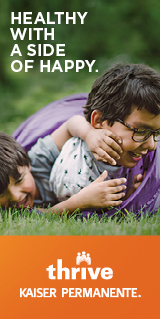 consultants at Kaiser San Francisco and Kaiser South San Francisco. 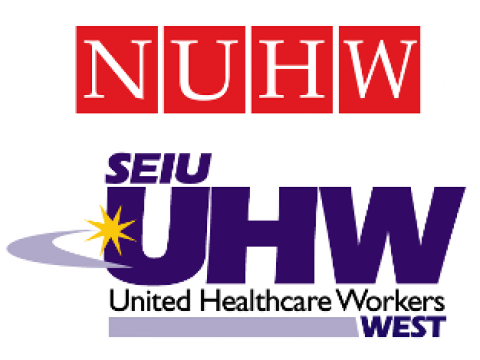 Ballots in the statewide election between NUHW-CNA and SEIU-UHW are due back at the NLRB office in Oakland by April 29, with a vote count scheduled for May 1. Read the ruling by National Labor Relations Board Judge Lana Parke, finding SEIU guilty of lying and breaking the law in last year’s election for 43,000 Kaiser workers.